There are thirty statues on the Charles Bridge in Prague. 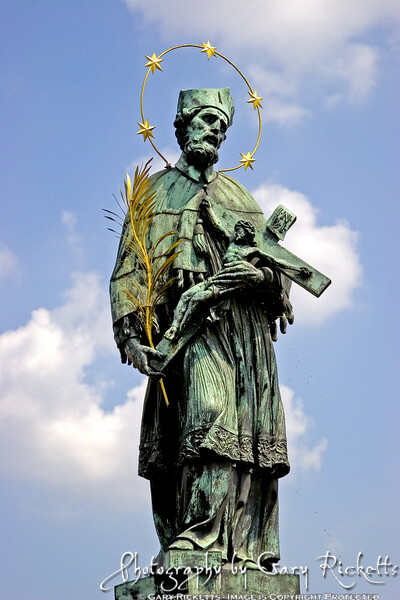 The statue of Saint John of Nepomuk is one of the oldest, having been placed on the bridge in 1683. John of Nepomuk was a religious figure in the court of Saint Wenceslas during the 14th century. He died when thrown from the Charles Bridge into the Vltava River.